In the history of American politics there are few stories as enigmatic as that of Alexander Hamilton and James Madison's bitterly personal falling out. Together they helped bring the Constitution into being, yet soon after the new republic was born they broke over the meaning of its founding document. Hamilton emphasized economic growth, Madison the importance of republican principles. Jay Cost is the first to argue that both men were right--and that their quarrel reveals a fundamental paradox at the heart of the American experiment. He shows that each man in his own way came to accept corruption as a necessary cost of growth. 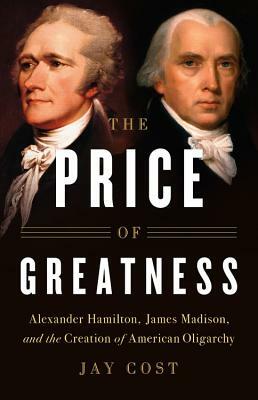 The Price of Greatness reveals the trade-off that made the United States the richest nation in human history, and that continues to fracture our politics to this day.